2. Below, Two Lips & Nomad Footwear boots are all the talk this season, especially when it's all you wear all year round! 3. Above, (left to right): Jolie headband, Chinese Laundry platforms (ahhh! ), Delicious Agent Iphone 5 case with enclosed mirror (perfect for those nights out! ), Suzywan Deluxe geometric necklace, Cailyn Cosmetics gel liner, Three Bird Nest floral headband, and Sock it to Me dandelion knee-high socks (great for lazy days off)! 4. Below, a few headbands from Love Me Knot, an Emergency Fashion First Aid Kit, a pair of lovely kitty ankle socks, and a beautiful collar necklace from Stella Nemiro! 5. Above, a Cabrelli rolling suitcase/tote! This is amazing because it has many compartments, is the correct size, and if you're using it for travel, it has rolling wheels so it can make your life easier! 6. 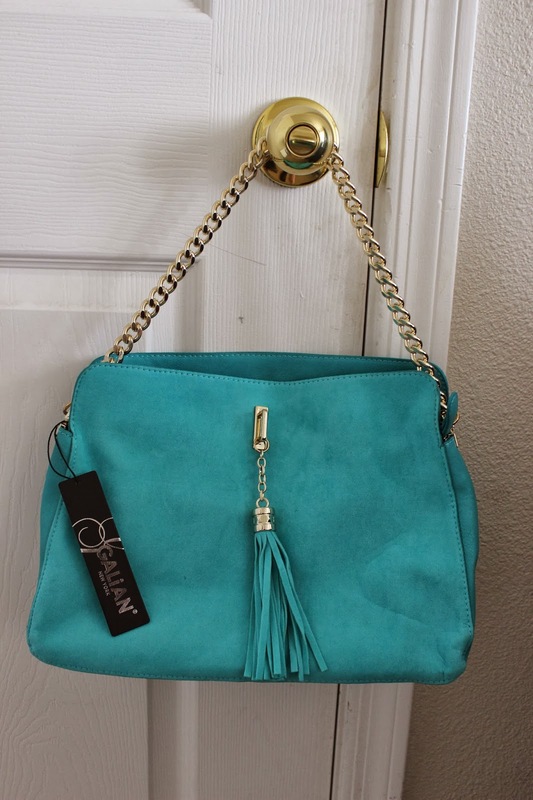 Below, this turquoise handbag from Galian, is the coolest shade of teal, not to mention it's pretty wide so it can fit all of your daily essentials- plus more! 7. Above, clockwise from left- Imoshion camel and ivory purse, Mellow Yellow lime green bag (seriously, it cannot be anymore wonderful! ), and this gorgeous Melie Bianco cutie is the most amazing thing since a Baja Blast Freeze from Taco Bell (that and I'm REALLY hungry)! 8. 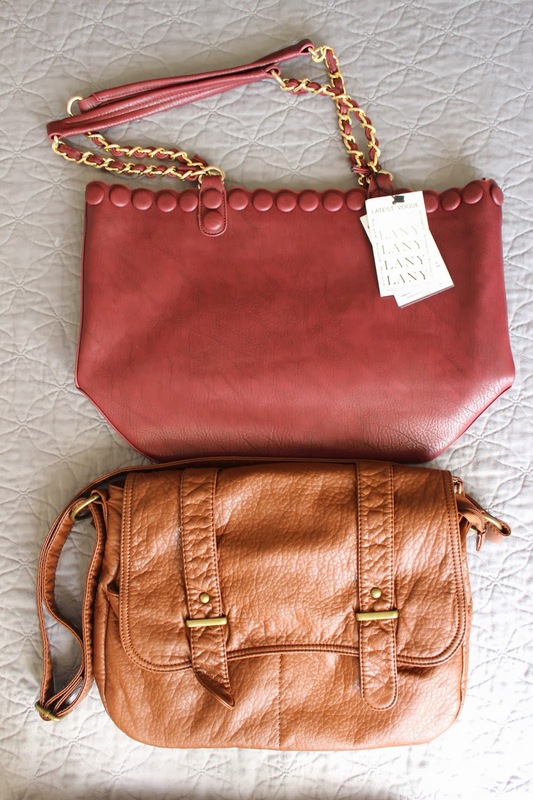 Below, the top tote is from LANY (such a good gift, since I don't have any bags of this dark maroon-ish color), and a bag I've already worn hundreds of times, this brown purse from Ampere Creations. Honestly, such a cool everyday bag! It fits anything! 9. 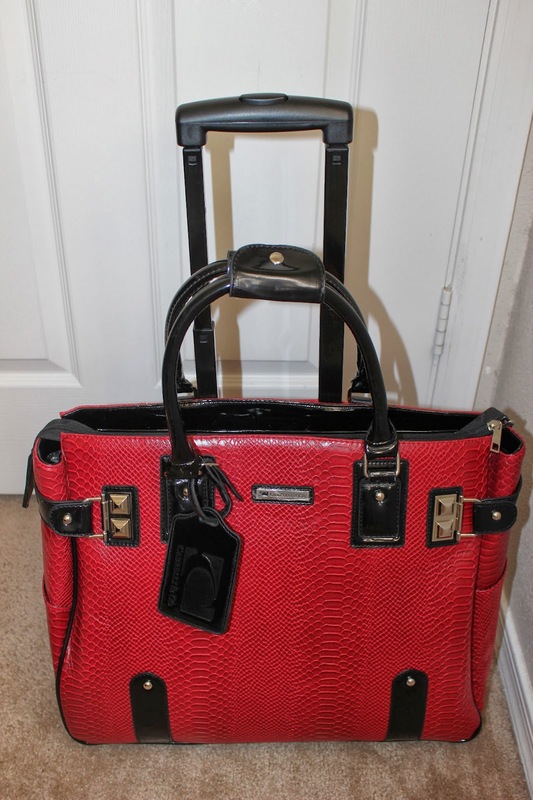 Above, a pretty and large handbag from Urban Expressions (reminds me so much of a Celine! ), with the capacity of making it smaller or larger on the sides; below that, this amazinggggg Aryn K clutch, which is pretty much larger than any clutch I have, but so cool because it can fit my laptop. No kidding! 10. Below is a cute Kikkerland anchor mat and a LeSportsac carry-on tote. I can't get enough! 11. Above is a Julie France body shaper, which I have also already used and LOVE sooo much! The one I got is the one pictures, goes all the way and even clasps onto your bra so it doesn't roll down in any way, and are shorts on the bottom. Underneath that is a cute dress undergarment from Peek-a-Boo Apparel! Can't wait to use that either! 12. This David & Goliath tee reminds me of all the brands tees I used to own when I was younger. 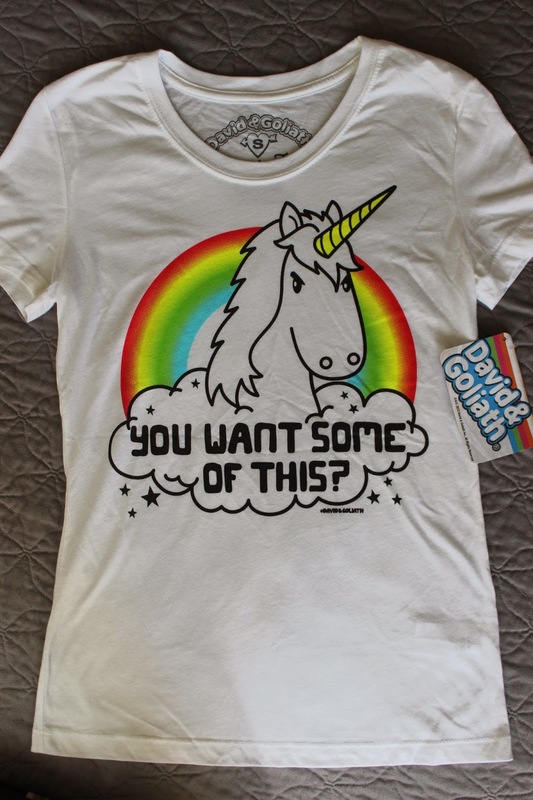 Plus, it's a unicorn and super sweet saying. Yay! 13. Above on the left is a pair of cool jeans from Democracy, and a pair of black shorts from Boom Boom Jeans. I will wear these both this weekend for my trip back home! 14. Below is what at first I thought was a really small dress (since I'm petite), but it's actually a top from Kaii. 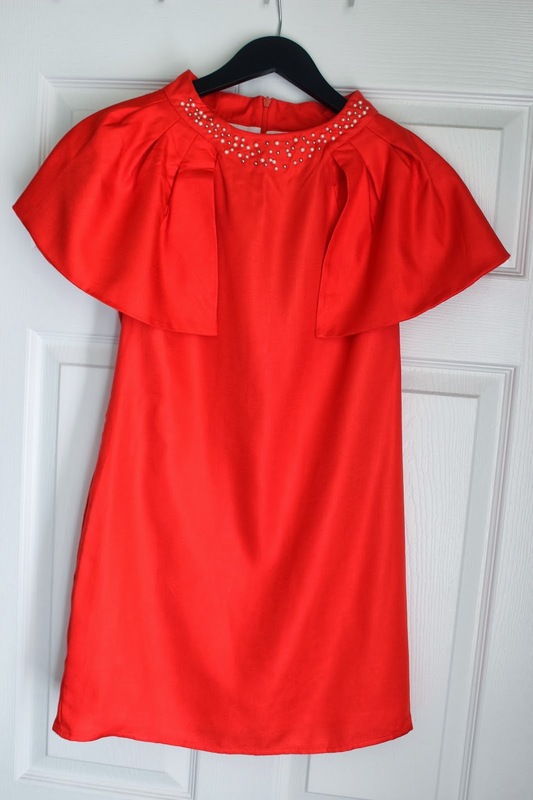 I love the details of the jewels on it, and I chose it specifically for the color. Yellow makes me happy! 15. Top- a sweater I've already also worn from Elan- comfortable, flowy, and a cute peace sign. Nice! 16. 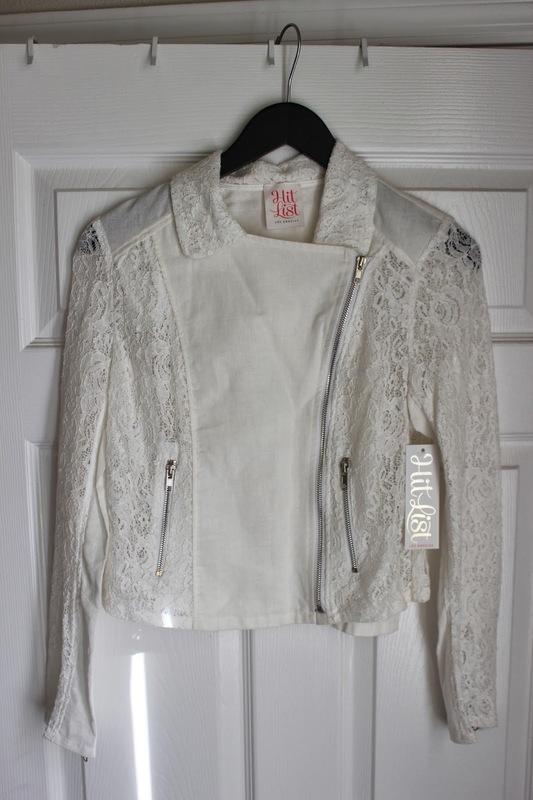 Bottom- this Hit List lace jacket is perf for the transition from winter to spring; not too cold or hot for this cutie! 17. 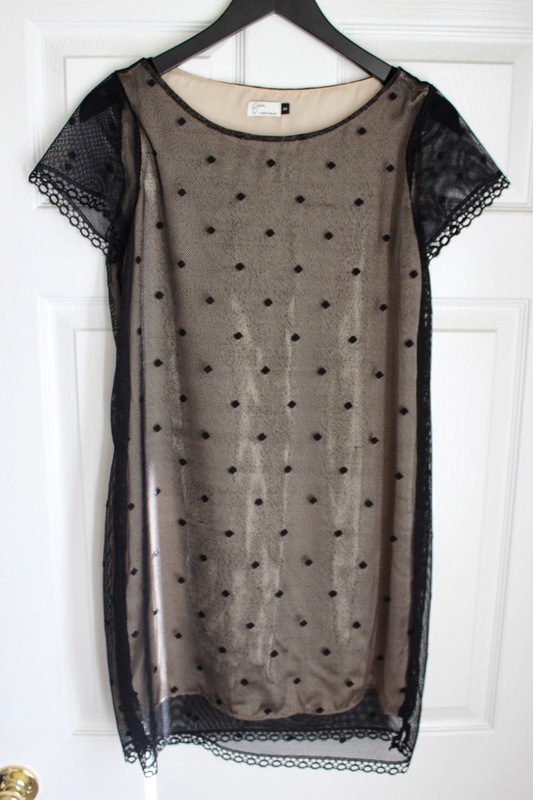 Top, this dotted sheer dress from Jaleh. Enough said. 18. 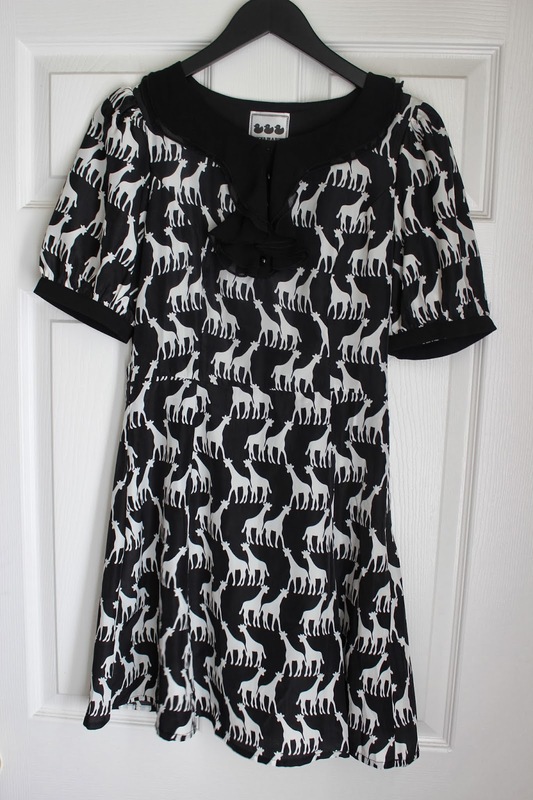 Ummm what about this CUTE giraffe patterned dress from Ducks in a Row?! Fell in love. 19. Top dress is from Eli Noir- fits like a glove and can't even make up my mind as to when I will wear it out! 20. 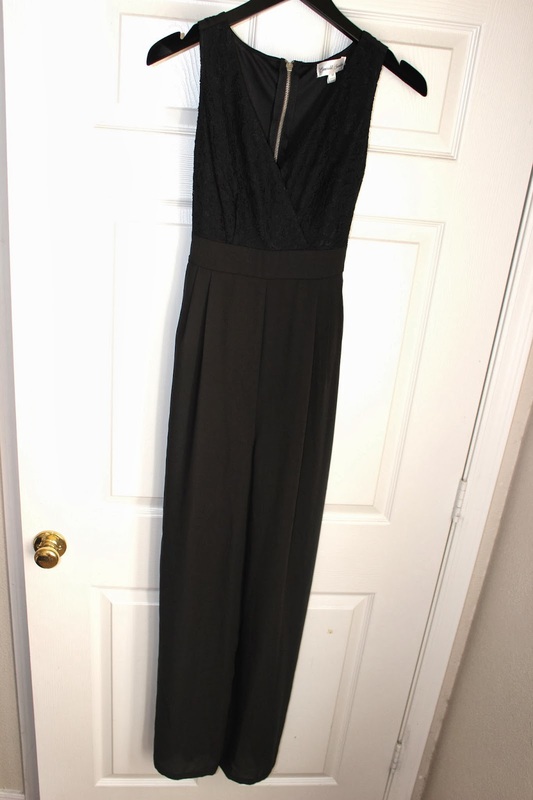 Below is this Emerald Sundae wide pant jumpsuit. When paired with my Chinese Laundry platforms, I'm sure they will definitely fit just right! 21. Above is this cozy coat from Anatomie; I wish I could still use it out, but it's a little too hot now in Arizona, so to the back of my closet it will go (for half a year)! 22. 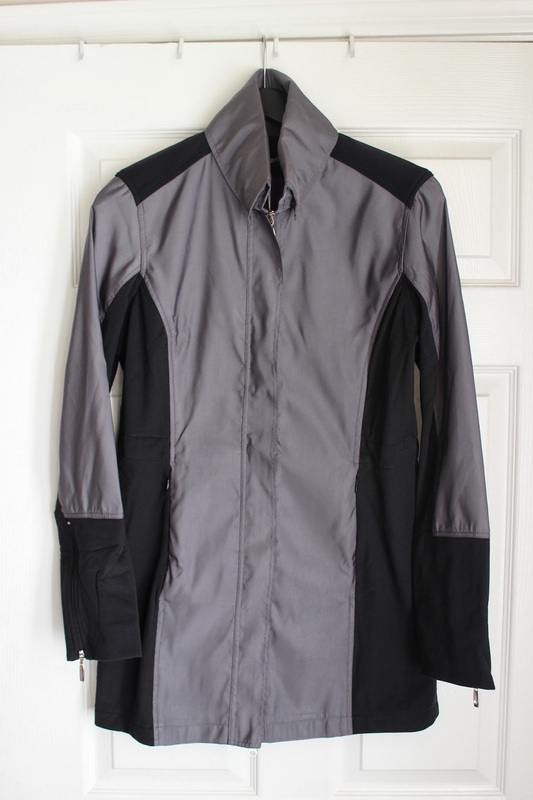 Below, is this other cool coat from Mia Melon; the picture shows it to be a bit grey, but it's a little darker than that. 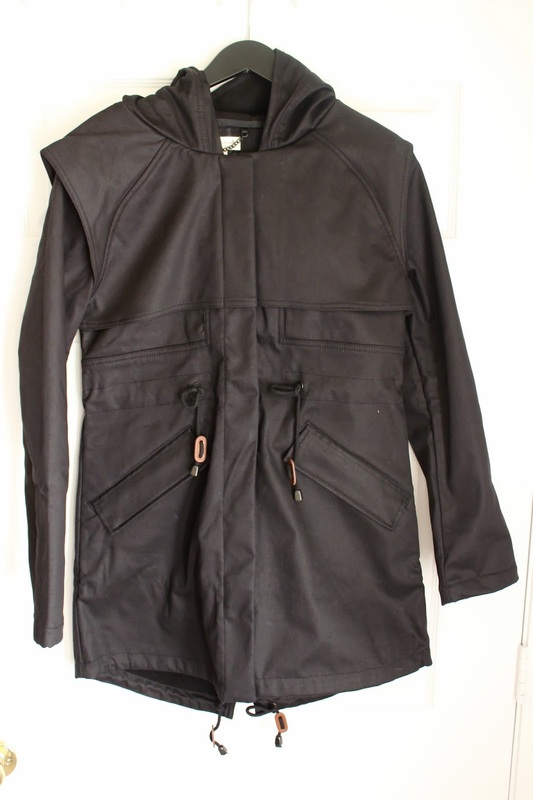 It's a perfect trench for those nights out in the autumn/winter time! 23. Lastly, Henry Hanger sent us all a huge pack of these beautiful black hangers! Just in time to hang up all these cuties. Wow, so many cool gifts right?! I want to thank them and the whole Stylesmith team for putting them together for us bloggers! Now, excuse me while I go make tons of room for all of these goodies! Follow me on Instagram for future posts/previews of some of these items used as outfits! so many goodies!! can't wait to see how you style them all. loving the bags and that hit list lace jacket is beautiful. Wow, you hit the jackpot!! So cool that you were able to have that experience and walk away with so many goodies! I definitely hope to attend next year! That Urban Expressions bag is hot. I should have gotten my hands on that, lol.